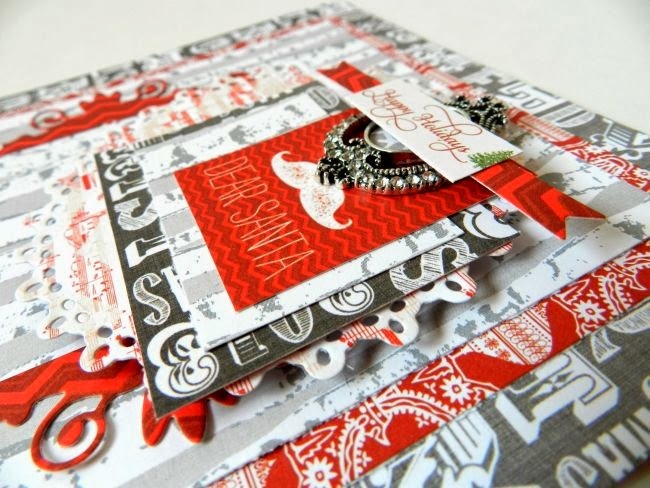 Erin Blegen: My Scrap Cabin: Webster's Pages Blog Hop! Good morning and welcome to the Webster's Pages Blog Hop! Each of the design team members has created a card for the designer following them in the hop, and Webster's Pages has prizes hidden along the way- but we're not telling you where- so make sure you visit each of the stops to make sure you have a chance at one of them!! If you arrived at my blog from the Webster's Pages blog, you are right on track. If not, head back to the beginning HERE. I have the pleasure of creating a card for Jill Cornell, who is one of our beautifully talented Clean & Simple Designers! I hope you enjoy this, Jill! I have officially fallen in love with the "It's Christmas!" collection designed by Allison Kreft. I went ultra-classic with the red and white here, adding just a hint of textured layers. There is so much more to see along the way! Pretty cards. Love Allison's collections. She does such beautiful work. Beautiful cards and the collections are so pretty. Erin your projects are amazing!!!! Love them!!! TFS!! Beautiful cards! I love the paper and your layers! I love the colors, layouts and papers you used. Beautiful. 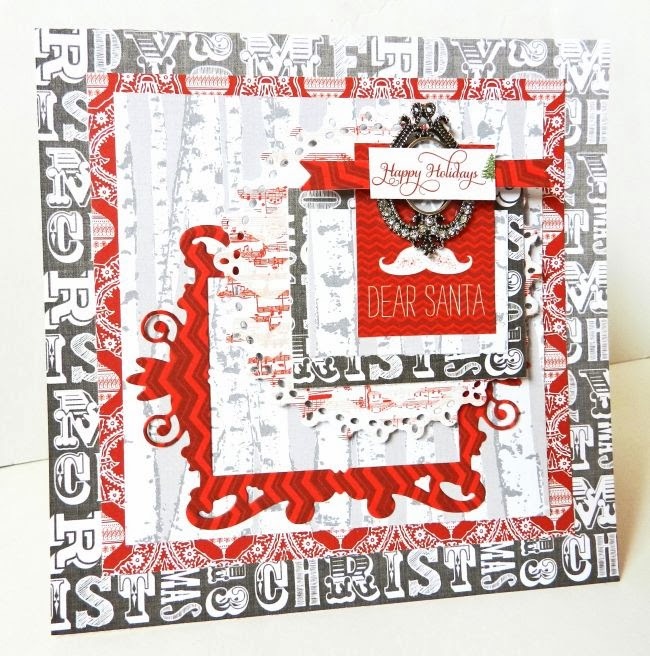 These papers make into such lovely cards! Pretty! Such a pretty collection! Beautiful! This is a very lovely collection! Beautiful! I love the layers and the elements you used! Such wonderful cards. I love the colours that you used. Your cards are lovely! I like the red and white together. The jeweled trim really dresses them up. So striking! Love the layers and composition. Love all the layers, and the red & white is beautiful! Love all your layering! I think that red music paper might be my favorite. Love the simple color scheme on your cards - so pretty! Modern, traditional, hip, and fun all at the same time. Love these! The cards are absolutely beautiful and I love the simplicity of the color scheme! It makes all the beautiful embellishments pop!! Thank you for inspiration! So stunning and love the colors! Love the music papter. It's a great card. The metal brooches make a great touch on both projects. Beautiful Cards Erin! I love all color but lean towards the traditional Christmas Colors! Beautiful cards! Red and White are my Favorite colors so this Collection is a Perfect Christmas collection for me! Beautiful!!! Thank you so much for sharing your talent with us. I loved the read and white!! 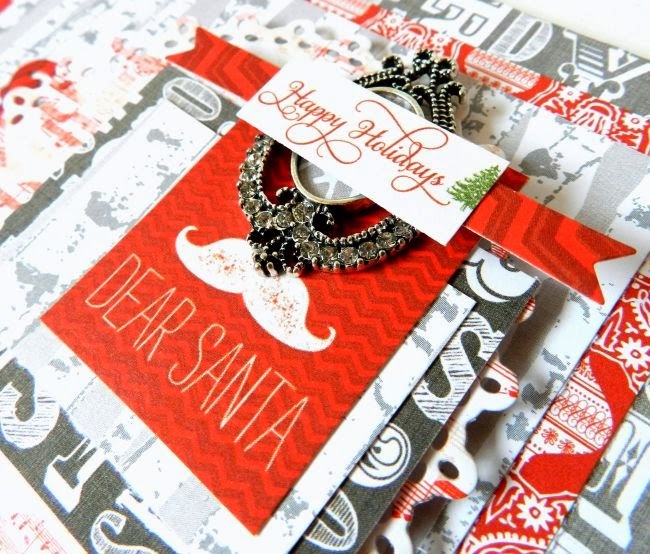 love that you had so much layering and the mustache with the gorgeous embellishment//very cool! Love both of these but The Most Wonderful Time of the Year is beyond stunning! Love how the layers and textures really make this card just POP! GORGEOUS! TFS! Lovely projects, Erin I like how the white layer on the first card tones down the vivid red background, and that jewelry piece is SO lovely - a gift in itself! Thanks for sharing with us! Love the layers and your bling! Really adds to the beauty of the card. Beautiful cards. Love this Christmas line! Wow very beautiful. Thank you for the inspiration. Beautiful cards! I love the red and white! So loving the red, white and black. Beautiful job! Red and White has always been a favorite for me at Christmas time! Love the red & white & touch of bling! Gorgeous cards. I love the elegant red and white. WOW---You did an amazing job on those cards! Such pretty papers! Wow - your cards are gorgeous!! Love all the layering! Just gorgeous. Your colors are exquisite and I always love musical scores incorporated into cards. Lovely. Beautiful cards! Love how you used those decorative jewelry pieces, gorgeous! I'm not used to seeing you make cards! They're pretty! So beautiful - love the red/white/gray color combo. Wow!!! Nothing short of STUNNING!!! Beautiful cards!!!! Absolutely Beautiful Cards, especially love the sheet music!! Wow, these cards are stunning! Thanks for sharing. Beautiful--love the color combo and dimension. Lovely of course! Really loving the first one! Beautiful cards. Really like the simple color combination. You create most beautiful cards on the blogging world! i don't like red so much but combining it with black.... is very elegant!